Sold as Marquis Lifestyle via the 11 outlets that now make up the Marquis network, it’s easy to see why vehicles like this comfortably outsell the “original” offerings of most mainstream manufacturers. Based on the Swift Group’s Escape range – itself a highly popular marque – Marquis’s Lifestyles have a more than decent range of additional equipment as standard, sufficient to lift them up a notch. 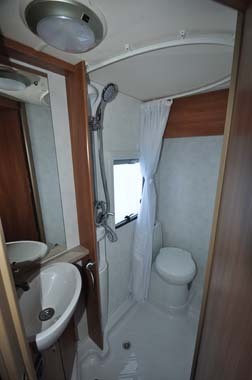 Hence we’re looking at the grey cab as well as fittings like the awning, Status TV aerial, electric step on the outside – plus all kinds of extra goodies inside. 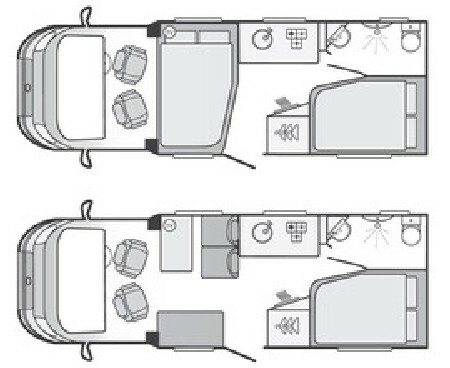 Like Escape, Lifestyle is a six-model line-up, with sister 662 the only other French bed offering. 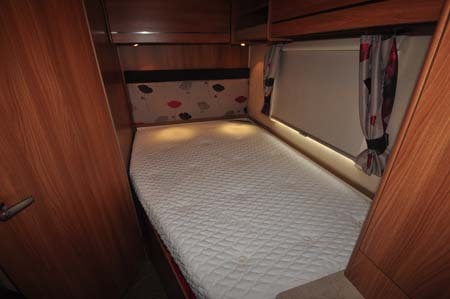 But, it’s the 664 here that goes on to provide two further berths – thanks to the rear travel seat for two and the facility to convert this and the nearside settee into a further double bed. That might just be why it’s arguably the most popular of the Lifestyles (although the six-berth 686 runs it close). You certainly get a roomy lounge, with the slightly small table being the only criticism here. Mid-‘van, it’s a well enough equipped kitchen as only the Brits know how. 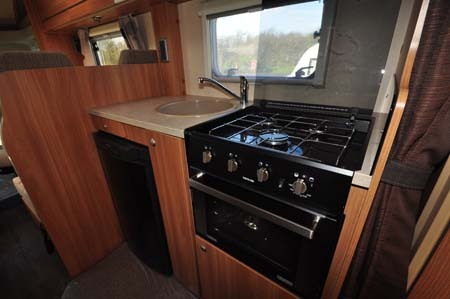 There’s a Dometic 8-series fridge with removable freezer compartment (if you wish to use the whole unit as a larder), a three-burner hob and grill/oven from Thetford, circular sink with add-on drainer plus chopping board, some worktop and sensible storage (including dedicated cutlery drawer). However, it’s that rear fixed bed that is the main highlight of the interior. It’s an acceptable 1.85m x 1.25m (6ft 1in x 4ft 1in) maximum, with a slight cutaway (hence the term French bed), but it’s the Duvalay Duvalite mattress that should ensure your dreams are sweet. Aside from the claims for lightweight memory fibre technology, pressure relief, dust mite resistance, full recyclability and being hypoallergenic, it’s just comfortable! And the arrangement is such you can sit up in bed for reading etc. There’s no stinting, however, on aspects such as floor carpeting, mains sockets (three), cab air conditioning, stereo with Bluetooth and USB connection, Omnistor vent over the kitchen, enhanced soft furnishings… the Lifestyle specification list really does go on and on.It’s also a relatively roomy washroom, adjacent, kitted out with a corner washbasin, with swivel-bowl toilet on the back wall. That leaves a large area for showering, although you only get a clingy curtain here. At this level, it’s a single price, with no factory-fit options (apart from semi-automatic transmission), although you can of course have the usual extras added by Marquis itself (bike rack, reversing camera etc). But, it’s that single price – currently on special offer at £41,295, down from the initial £42,831 – that helps keep it all the more competitive. 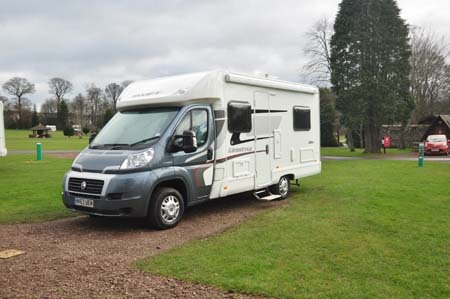 It’s got far more equipment than any self-respecting “budget motorhome” should dare to expect… but it’s a price that adds up. True, the initial Escape 664 starts at £37,275, with another £1000 if you want the arguably essential Comfort Pack but, as a Lifestyle 664, it’s all just moved up another level. 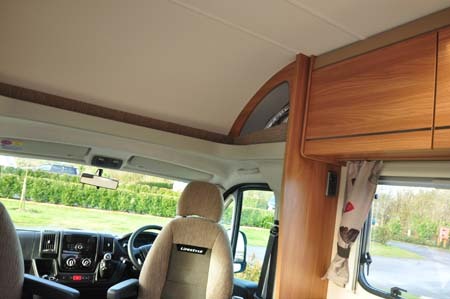 There’s more information on the Lifestyle on the Marquis Motorhomes website and to find out more about our low-cost premiums visit the motorhome insurance discounts page.